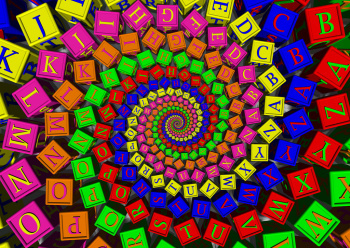 Welcome to my personal A to Z Challenge on the subject of Home. The goal, in a year time, is to elaborate and dissect topics regarding the Home not as containers of stuff, but as a cocoon for the soul, mind and heart. I will touch on decorations, style, trends, history of home and sometimes technical information. On Jan. 14, 2014, my challenge will be over. Will I make it covering the subject of HOME with all the letters of the alphabet? The beat is on. The environment is our concern and our responsibility to keep it as natural as possible. Many industries using dyes, spill their waste products in our seas and navigable waters killing flora and fauna. A few years ago, I stayed at a dear friend’s home and slept on something so incredibly soft that gave me the impression of being on clouds. The next morning, totally relaxed and refreshed, I asked my friend what I slept on. 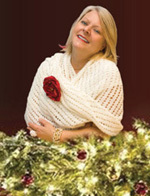 She only uses sheets and bath towels made of bamboo and I fell in love with the product. Bamboo plant is a woody perennial and part of the grass family. It regenerates quickly and doesn’t need pesticides, fertilizer nor a lot of water to grow, to the contrary of cotton which takes almost 1/3 of a pound of fertilizer to grow 1 pound of raw cotton. Plants that regenerate quickly don’t require much agricultural management, reseeding and energy expenditure. 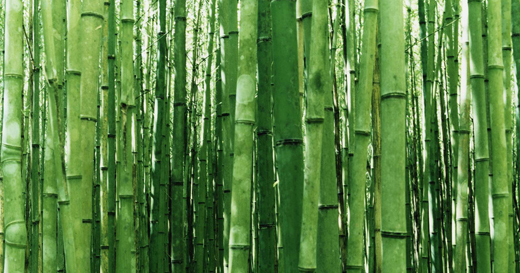 Bamboo fabric is biodegradable, meaning it dissolves easy when disused fabric goes in the nature with the garbage. To create fabrics only the pulp of bamboo is used, thus the fiber dyes very easy with minimal use of water. The fabrics that don’t dye easily are treated with chemicals and lot of water, which result in environmental damages. Did you know that bamboo resists to bacteria, mold, dust mites and mildew? 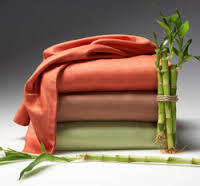 Bed sheets made of bamboo are ideal for people with allergies, hay fever or have highly sensitive skin. In my opinion, the softness and luxurious feel of bamboo sheets, towels and fabrics are superior to any cotton or any thread count, especially because its thermal insulating property keeps the skin cool in the summer and warm in the winter. Bamboo fabric travels easy, doesn’t require much care and it’s machine washable. Bamboo products are available for babies as well, start them early with the appreciation of nature and good things that comes from it. Thank you Jake for your visits. Wishing you a Happy Holiday Season.